Saying what’s on your mind can have unfortunate consequences, but there is a way to avoid them. I get into a lot of political debates/cage matches with people, some of whom say things that are flat out wrong. How do they maintain their credibility? They use a magic phrase. Saying “Open Says Me” can open doors, and saying “This is just my opinion” apparently allows someones to make any stupid remark they want with impunity. I’ve had people tell me that, on average, conservatives are smarter than liberals, and that President Obama will raise more money than Mitt Romney because of his Hollywood connections. These seem like things that need to be backed up with evidence, but since each person qualified it as “their opinion,” they didn’t feel the need to. 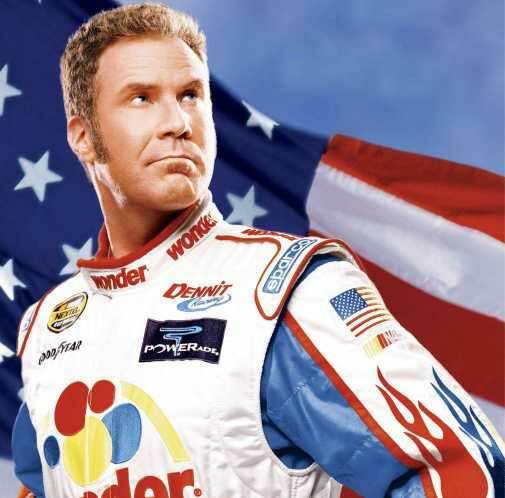 In the cinematic triumph that is Talladega Nights: The Ballad of Ricky Bobby, a redneck NASCAR driver played by Will Ferrell uses the same tactic. Ricky tells his boss that “With all due respect, I didn’t know you had experimental surgery to have your balls removed.” That sounds inappropriate, but he did say “with all due respect.” Most people who debate politics think they are smarter than Will Ferrell’s character, but I’m not so sure. People don’t need to be reminded about the First Amendment, but they do need to be reminded about responsible use. Saying whatever you want and using the right to free speech as en excuse is not responsible; it just makes the speaker look dumb, and makes rational discussion more difficult. Everyone has an opinion, but they can still be wrong. Mitt Romney is an alien sent to conquer Earth with an army of dancing horses. John Boehner is an Oompa-Loompa who took steroids. On average, conservatives are most likely to be cannibals. Ronald Reagan did not end the Cold War.